Do You Have To Be A Practicing Catholic To Attend A Catholic School? Do Non-Practicing Catholics Really Have a Choice? When it comes to spirituality, this type of story always makes me cringe. It's the very reason I personally choose not to be associated with any one particular religion. Here is an account describing the lengths one non-practicing Catholic couple was willing to take in order for their sons to 'fit in' at the school of their choice. (It's really MY story in disguise - a few names and other details have been altered to protect the innocent, as well as those not so innocent). Location, location, location. Real estate agents know that for growing families with school-aged children, location - especially that of the school - is of prime importance. For Bill and Agatha Dickerson, the location of the Catholic school just around the corner from their modest bungalow was perfect. What delighted them even more though was that the school was small, with a student/teacher ratio of about 18:1, far lower than the next closest public school. As for the Catholic school culture, well the Dickerson boys, Billy and Jason felt right at home. With less than 200 students attending, everyone knew each other by name, from the principal right down to the youngest JK kid. It was a warm and welcoming environment, one in which Bill and Agatha knew their sons would thrive. Not a Practicing Catholic? Take Care of It! On registration day, Agatha was concerned by the 'requirements' listed on the form. Billy, age nine and now entering the fourth grade, hadn't been baptized nor had he made his first communion, a Catholic milestone usually reached in grade two. Five year old Jason wasn't baptized yet either. "Will this be a problem?" Agatha asked, not trying to hide the fact that her sons didn't currently completely comply with the school's acceptance policies. She was told that as long as she agreed to 'take care of it', her sons would be able to attend. That night at home, Bill and Agatha quietly discussed the school's policies while Billy and Jason played raucously down in the family room. Bill was adamant about keeping his non-practicing Catholic status intact. It had taken him years to overcome all the confusion and guilt from his own Catholic upbringing. He was really comfortable with the fact that he and Agatha hadn't even given a thought to attending church up until now. These registration 'requirements' caught Bill a bit off guard. Agatha quickly reassured Bill that, for her, the school's regulations were nothing more than symbols; a small price to pay for 'membership' as she put it, into a school where their boys would not only get a very good education, but would also be exposed to some excellent values which she had heard from friends and co-workers were sorely lacking in the public school system. At least the boys would be aware of this thing called spirituality. Bill reluctantly submitted. On one hand, he agreed wholeheartedly with his wife that the education and environment delivered by this particular Catholic school was top-notch. In that regard, he couldn't have asked for a better situation for his sons. Still, he worried about the effect Catholic teachings such as sin, separation and saviors would have on Billy and Jason. He didn't want them to be exposed to the same guilt and confusion that muddled his own upbringing. A few months passed. Bill and Agatha still had yet to 'take care of it'. Then one day, Billy came home from school quiet and sullen. It wasn't like him to slink off unobtrusively to his room, leaving Jason to play by himself. At first, Agatha thought Billy might be sick. She called him over to talk, looking for signs of a temperature or other illness. She found none. Then, as only a mother can do, she gently coaxed Billy to speak. What he said disturbed her very deeply. "There was a mass today in school. Father Joe wouldn't let me participate because he said I didn't make my first communion. He practically yelled at me in front of my friends." Billy broke into tears. When Bill arrived home from work that evening and heard the report, he was furious. In typical male-hero fashion, he was ready immediately to pay Father Joe a visit and give him a piece of his mind. Oh, how he longed to go toe-to-toe with those Catholic guilt mongers. As usual, Agatha had to calm her husband down and offer him a more reasonable plan. The trust and bond between the two was strong and it wasn't long before Bill had indeed settled down. Even Billy knew a bit about that so he joined in helping his younger brother to understand. Excitedly, the rapid volley of questions continued. Then Jason asked the bomb, "WHY do we have to get baptized?" Bill looked at Agatha as if to say, "It's your show." Slowly, with carefully measured words, Agatha spoke, "It's a symbol of being accepted into God's family." Bill could feel his face burning. He was radically opposed to telling young, innocent children that they were ever 'separated' from God, either now or at any time in their lives. Yet, he and Agatha had agreed a long time ago never to override each other, especially in front of the kids. His blood pressure continued to mount as Agatha patiently fielded the boys' intense inquisition. Bill would have much preferred that Agatha be honest with the boys, telling them, "Oh, it's just some silly Catholic rule they use to manipulate their followers... nothing but big business, really." However, even Bill realized that you couldn't talk this way to a little five year old. After all, Jason repeated EVERYTHING he heard! Better to allow this tiny 'white lie' than embarrass everyone and risk possible expulsion. In the end, Agatha went through the motions and 'took care of it'. She attended the prerequisite meetings, paid the certification fees and even took the boys to church a couple of times. In her mind it was a very small price to pay to get a first-class education in an environment that stipulated good behavior and values while stimulating spiritual awareness. She did this all without having to 'buy into' the total Catholic belief system. During the years the boys attended the little Catholic school around the corner, they would come home with more questions about what they had heard in class. This was the spiritual awareness that Bill and Agatha had hoped for and they welcomed the chance to openly discuss these things with their growing sons. Now Bill and Agatha actually encourage Billy and Jason to explore their own spiritual truth, teaching them to discern between universal laws and man-made rules and rituals. Bill sometimes is still tempted to instill his own views on the boys, intending to protect them from 'religious' charlatans. However, Agatha gently reminds Bill to be grateful that he had the opportunity to seek and find his own inner peace. Ah, inner peace... the bottom line. You gotta Love That Feeling! 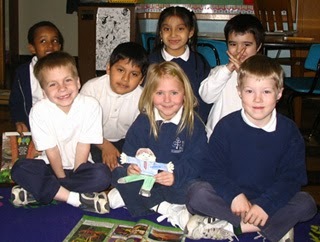 ExChristian.Net: Do You Have To Be A Practicing Catholic To Attend A Catholic School?